For Gibraltar’s first ever tournament, they were drawn in our group. “Easy” you say to select a charity and organise our presentation? 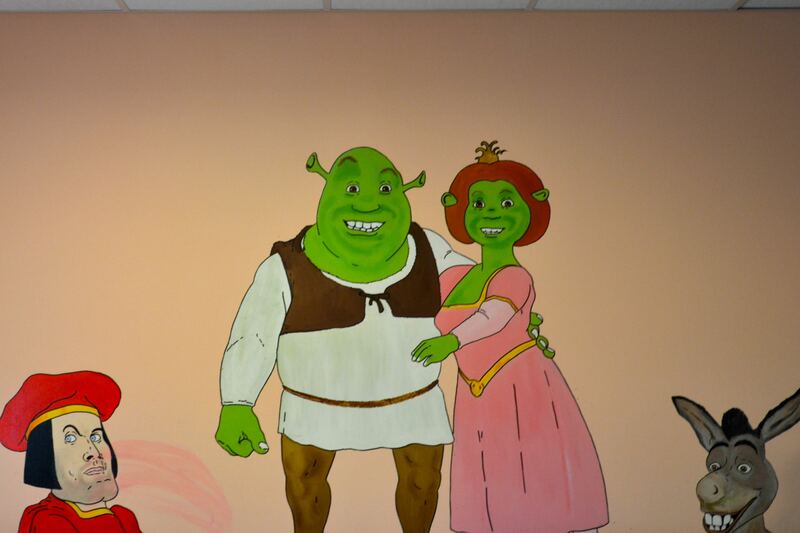 Well yes, we selected the Rainbow Ward of the Gibraltar General Hospital, a ward which looks after many children with complex illnesses. However, the match was arranged in Faro, Portugal, some four hours drive away. Six of us decided to fly into Malaga to ensure we had a presence at the Hospital, and ended up with 1500 km round trip. 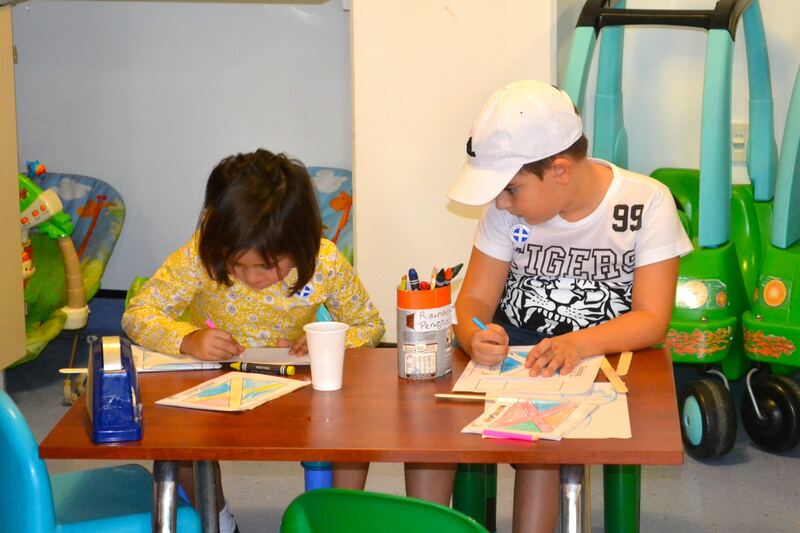 On arrival on Saturday 10th October, we were met with several kids and their parents, as well as a few members of staff. 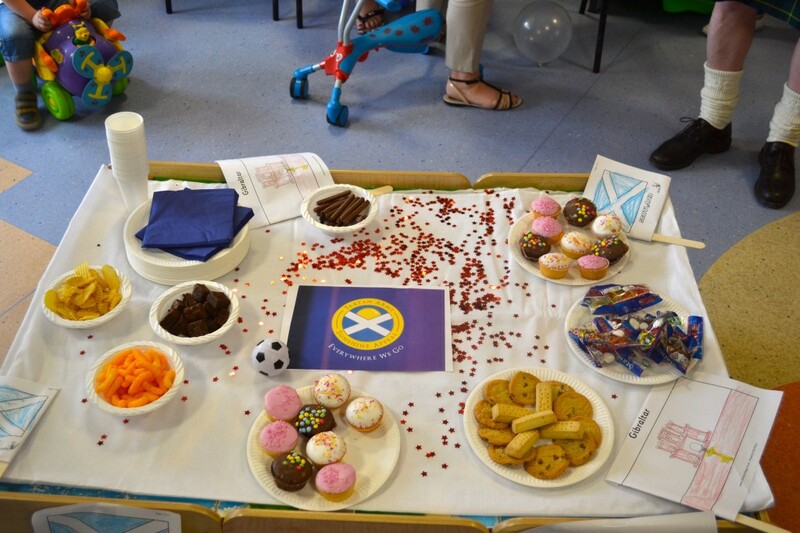 The kids had drawn Scottish flags and baked some cakes for our arrival, members of our party chatted to kids and parents alike and learned how they are coping with some dreadful illnesses. It was a very emotional experience and helps us realise how lucky we actually are. 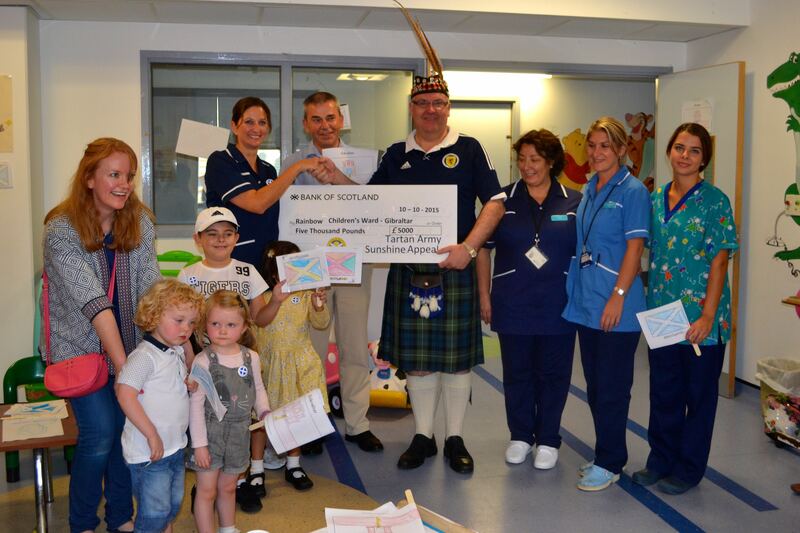 Vice Chairman of the Sunshine Appeal, Neil Forbes, presented the cheque for £5,000 to Sarah Smith, the Ward sister, to a huge cheer from the kids and parents. See! 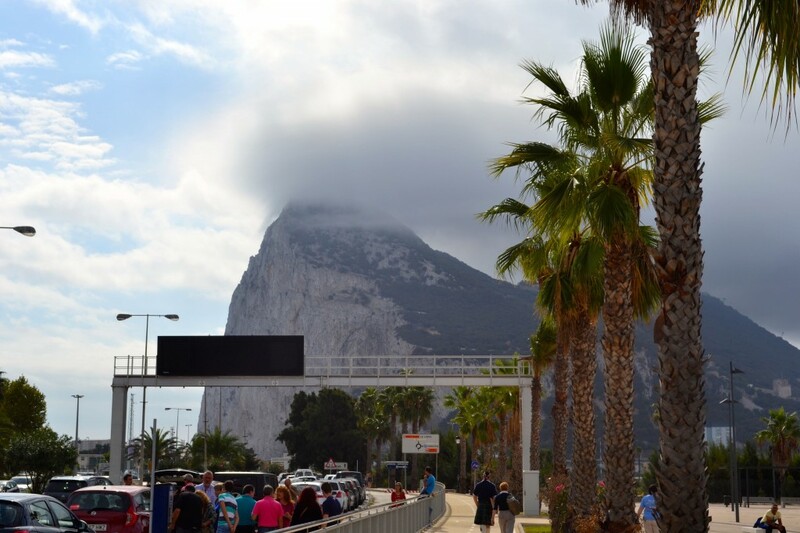 We really, really went to Gibraltar first.